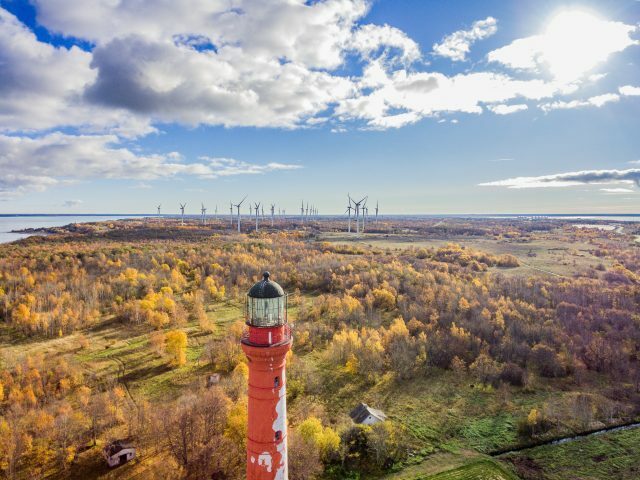 Discover the natural beauty of Estonia’s north east coastal region during our half day countryside tour. 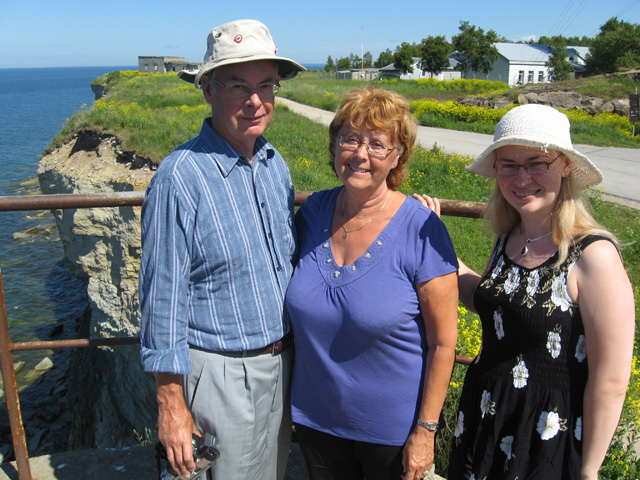 Enjoy spectacular views from a top coastal cliffs and explore the magic of Estonian second largest waterfall. 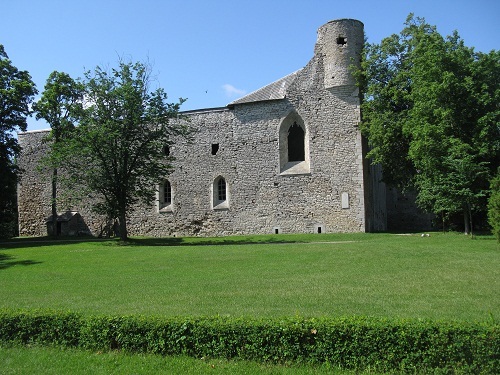 See historical manor estates and the medieval monastery ruins at Padise. Find out how Paldiski, once a key military base of the Russian empire and the Soviet Union has transformed. 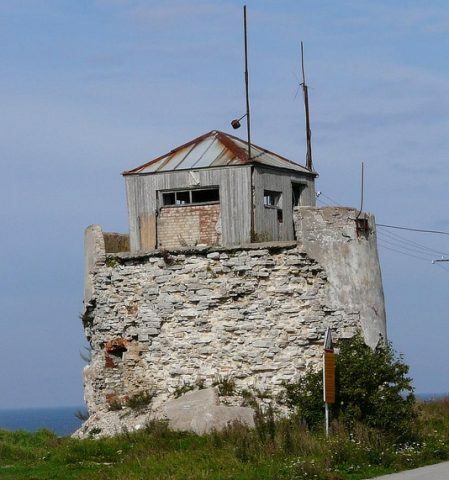 The road to Paldiski, a small coastal town with a long and colourful history, offers visitors a few surprises along the way. The landscape along this stretch of coastline is stark and yet hauntingly beautiful. 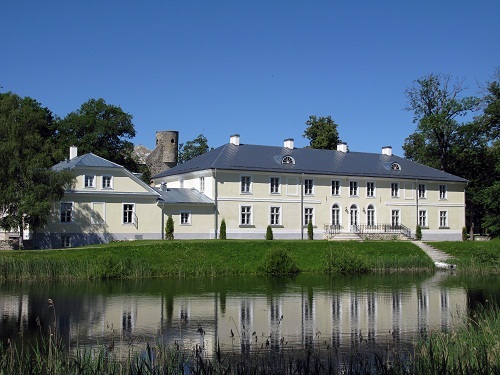 See historical manor estates and the medieval monastery ruins at Padise. Our first stop will be at small community, where many of the nouveu rich of the current Republic built splendid houses to show off their new found wealth. In a bid to outdo each other, these homes were constructed with oversized impractical designs. Towers and turrets were added in an attempt to make their houses look like castles or manor estates. After the first few winters, there were hard lessons to be learned living on these unserviced lots. Today you can still see homes that were abandoned or never completed. 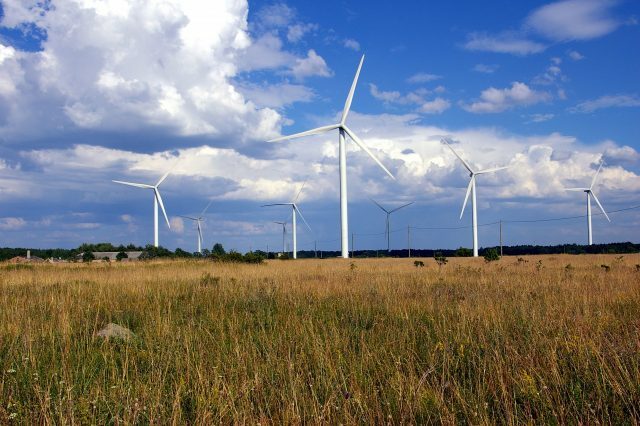 Estonians named this place „Fools Land” and for good reason. 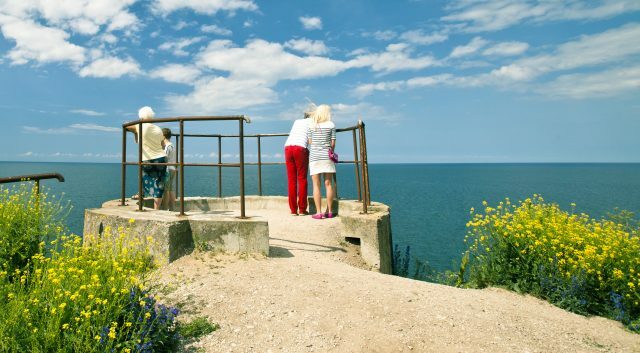 A breathtaking view of the Baltic sea is offered at our next stop where the coastal cliff first climbs to its highest point. 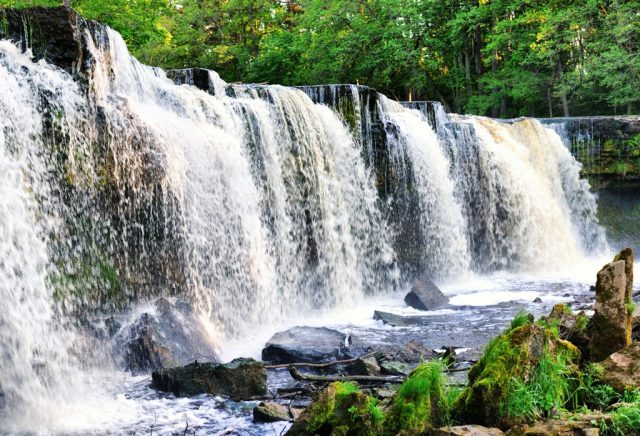 The beautiful Keila-Joa park area is home to the second largest waterfall in Estonia that provided water power for the Keila-Joa manor estate a long time ago. The remnants of a once splendid Neo-Gothic manor house still stand as witness to an era when Baltic Germans ruled as land barons. 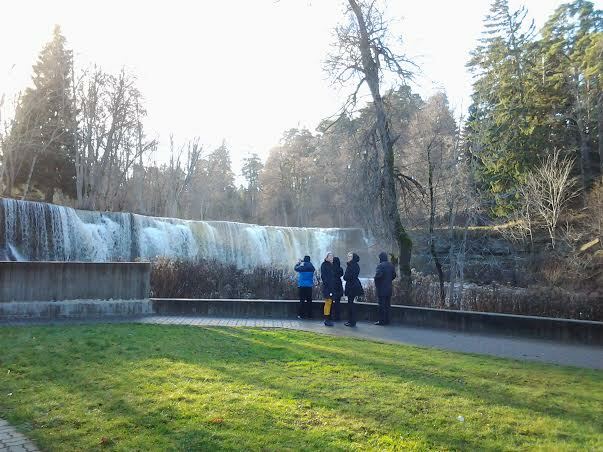 Today, this waterfall provides hydro electric (green energy) to about 1,000 homes. The park is popular with Newlyweds who come here to continue an age old tradition of symbolically locking their hearts together. When you see the bridge over the Keila river, you will know how they do this. We will also stop at Padise Abbey (see the video above), a former monastery settled in 1310 by the dispossessed monks of Dünamünde Abbey in Latvia. It was converted into a fortress after its dissolution in 1559 and later used as a country house until 1766. The ruins now house a museum.The remaining buildings, which were stabilized in the 1930’s, are now used as a museum. 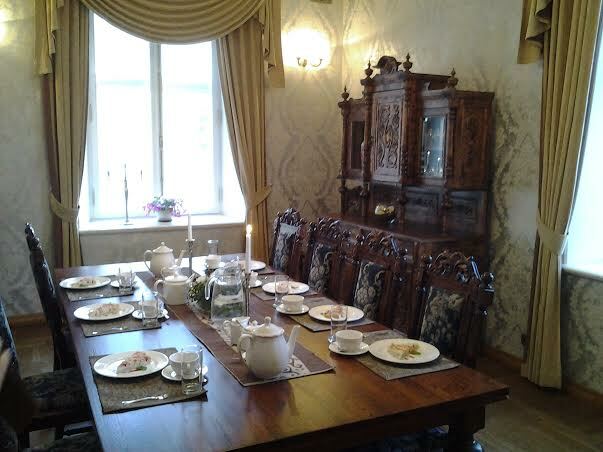 We finally arrive at Paldiski which has a recorded history that dates back to the early 1300’s. 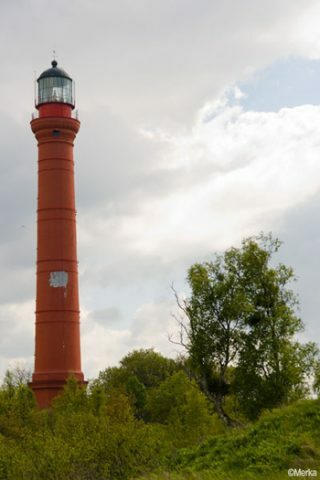 This sea port town, whose deep waters remain open even during the cold winter months is one of the rare access points for large ships along the Estonian coastline. For this reason it has always been a key military target and defensive position for many invading forces throughout history. 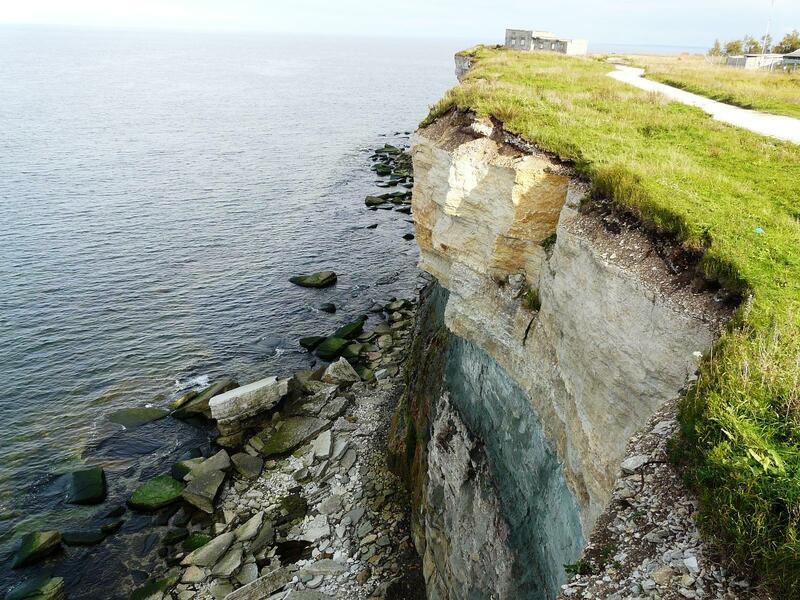 See the site of Peter the Great’s unfinished sea fortress, the original lighthouse and some old houses which lie precariously close to the edge of the crumbling cliff and are soon expected to fall in to the sea. 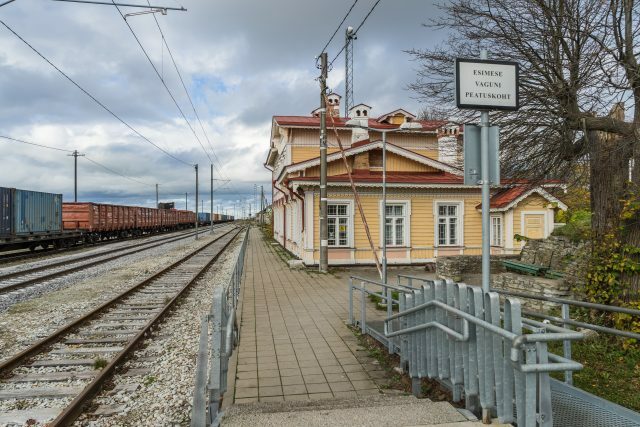 See the original railway station built to serve on Estonia’s first railway line from Paldiski to St Petersburg. Hallo, die Tour heute war perfekt. Viele grüße an Karmen und Alias. Und vielen Dank für den schönen Tag.